Anyone else a big fan of comics? Anyone else going to New York ComiCon? I'll be there all four days, and I know Sunday is the designated kid's day, so I wanted to take a moment and give a shout out to all the cute superhero items we have in the store. 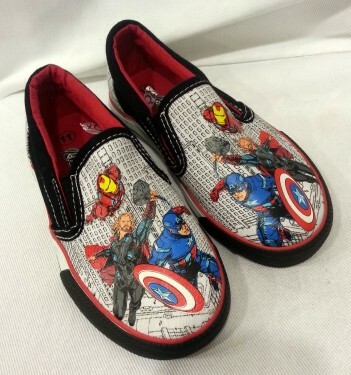 These would look great on both a little boy AND a little girl! Um, I love this shirt. So cute. Sometimes all you need is the iconic symbol. Yeah, I would totally wear these if they were my size. Want to dress your little dude or dudette up for the Con? How about a little Superman costume? Love this Captain America costume!